What an excellent house warming gift idea! These two-sided scrubby dishcloths should sell like crazy at craft fair! They are quick and easy to crochet, and so useful! 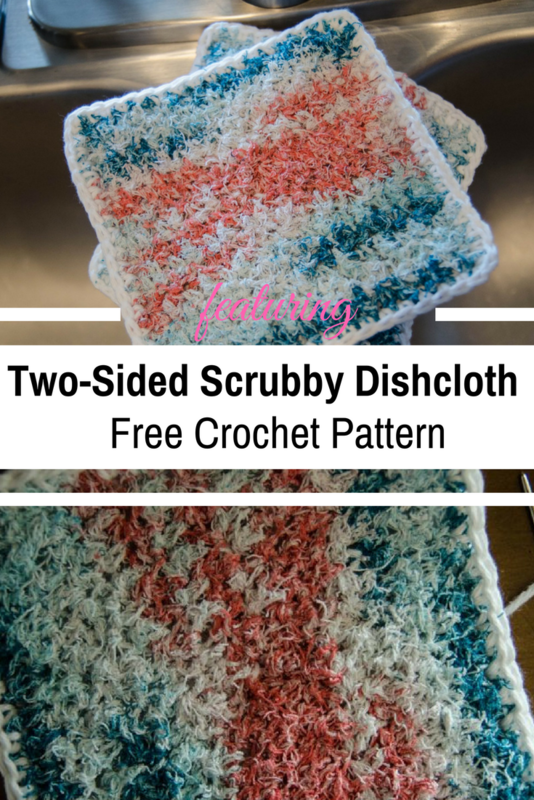 The Two-Sided Scrubby Dishcloth Crochet Pattern designed by Ashlea Konecny is an exciting little yet brilliant pattern you can use for all kind of gifts. Use a larger size for cleaning windows, wiping counters and dusting. It does a really great job! This 10-Minute Crochet Dish Scrubby Is Amazing! Check out the original source for this Two-Sided Scrubby Dishcloth Free Crochet Pattern with all the directions and full written pattern at: Heart Hook Home.